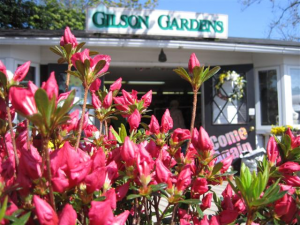 Gilson Gardens is a wholesale nursery and former retail garden center located in the heart of the historic Lake County nursery industry. Our seasonal garden center closed on June 30, 2017 after 70 years in operation! For many years we also operated a full-service florist shop. Our wholesale nursery continues to sell off remaining equipment. We anticipate selling our remaining properties prior to November, 2018. While we are very sad about these events, we remain proud that we lasted 70 years and three generations, fullfilling the promise, energy and ambition of Nan & Gramp, Ted and Kathy Gilson in 1947!